The Player Menu View High Scores menu item brings up a list of the highest scorers who have played the game and their personal best high scores. The High Scorers list is a list of all the high scores in the game for all the game players. Each player has their three highest scores recorded in the list. If a player has only played once or twice, they will only have one or two scores in the list. If the player beats on of their previous high scores, the list will be updated. 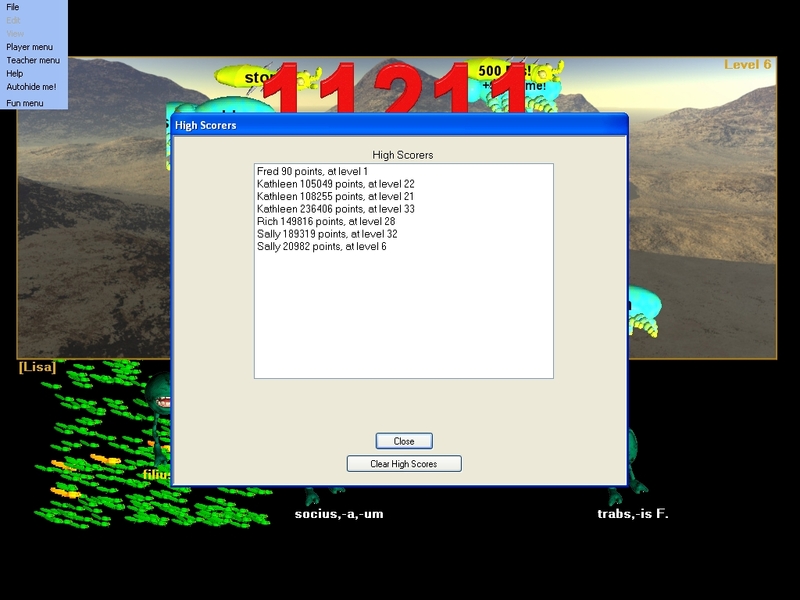 The 'High Scorere' list is a list of both high scores and high scorers presented in the same list. 'Close' - closes the window and returns to the game. 'Clear High Scores' - clears the list of high scorers and their scores.